Marco Bicego jewelry is the epitome of traditional Italian craftsmanship combined with luxurious, bold, contemporary designs. Every single piece is handcrafted in Trissino of the Veneto Region of Northern Italy, with each step of the process being done in-house including smelting their own blend of 18K gold. In 2000 Marco Bicego took over the family business from his father, who founded it in 1958. His collections are renowned for the use of bespoke gemstones in stunning hues, hand engraving with the use of a traditional engraving tool called the bulino, and the hand twisted coil -- all techniques that have been passed down from father to son. To experience the undeniable beauty of bespoke gemstones set into fine gold, consider the the Jaipur Color and Paradise collections. Hand engraved gold links set with exquisite gemstones and diamonds. If hand-hammered and finely engraved gold is more your style, the Lunaria and Jaipur collections are sure to delight the senses. These designs accentuate the beauty of gold in and of itself. Hammered and engraved by hand with a traditional bulino to create the fine brushed texture that is a hallmark of Marco Bicego jewelry. For something truly inspiring, experience the hand twisted coil, a time honored method of tightly winding 18K gold thread around a thick strand of solid gold. Look to the Masai collection for chunky, bold statement pieces and if refined and demure is more your style than look no further than the Marrakech collection of whimsical and ethereal earrings, necklaces and bracelets. 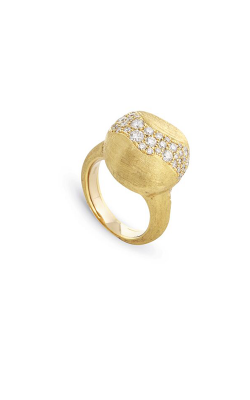 Marco Bicego jewelry pieces embody beauty, boldness, extravagance, and luxury. He designs collections that speak to the soul, move the heart, and capture the eye. Each and every piece is made by hand so that no particular piece of jewelry is exactly like another. If you are seeking a gift for yourself or someone else, nothing makes a statement quite like a handmade piece of fine gold jewelry from any of the Marco Bicego collections. Why Shop for Marco Bicego Jewelry Pieces at Northeastern Fine Jewelers? Select Marco Bicego collections can be found at all Northeastern Fine Jewelry showrooms located in New York City, Albany, Glen Falls, Schenectady, and Troy. Established in 1980 as the Northeastern Coin Gallery and later renamed Northeastern Fine Jewelry, our stores are your premier source for designer engagement and wedding rings, Swiss timepieces, GIA certified loose diamonds, and all fine quality jewelry at a great value. Recent expansion makes Northeastern Fine Jewelry the highest volume jeweler in the Capital Region and as such we provide professional repair and restoration, custom design, and in-store appraisal services. For more more information or to find the next addition to your fine jewelry collection, please visit our website, call 1-855-795-NEFJ, or visit any one of our New York showrooms in NYC, Albany, Schenectady, Glen Falls, or Troy.